[UPDATE - 14th November 2018]: Now onto a third series for Tez Ilyas in his stand-up show, which is turning increasingly conversational the further he gets into it. He's beginning to feel more like a compere, picking up feed lines from the audience and running with them, building each show around one particular story, but often coming back to bring the theatre with him. That's most obvious here with an "ask the audience" section, which seems to be a trend getting more popular. It provides a nice intimacy to the show. Just in case you've not encountered him, and want to experience this evolution yourself, currently all of the previous series of Tez Talks are up on the iplayer here. Only a couple of hours in total, so not unreasonable to give them a listen ahead of the new series starting tomorrow. As before, there's a theme to the series, and this time it's things you wish you could improve, either by going back and fixing them, or doing them better the second time round. That's approached in a head on manner in the first episode, which decides to run with the idea of time travel, and a scenario which I'm pretty sure appeared in a recent Doctor Who (I'm assuming Ilyas isn't ghost-writing in his spare time). However, here it's used to build to a impressively groan-worthy Feghoot, which I frankly enjoyed too much. Second episode gets a bit more pointed, effectively being Ilyas' review of the "punish a muslim" "game"/hate crime, which made an appearance back in March. Interesting one to listen to, this. Like the (relatively) recent Citizen of Nowhere, it's a story told by someone on the inside, to an audience that may well be mostly on the outside. He can depower it, and turn the worrying aspects of life into some damn funny material (with a point), but it feels like sometimes the audience isn't sure if it's allowed to laugh. Speaks to his quality as a comedian that these occasionally tense moments are easily defused with a quip. [ORIGINAL - 25th January 2018]: This stands in rather strong contrast to Rhys James' that I reviewed a couple of days ago. Tez Talks is another short form (15 minutes) stand-up comedy set turned into a radio monologue. 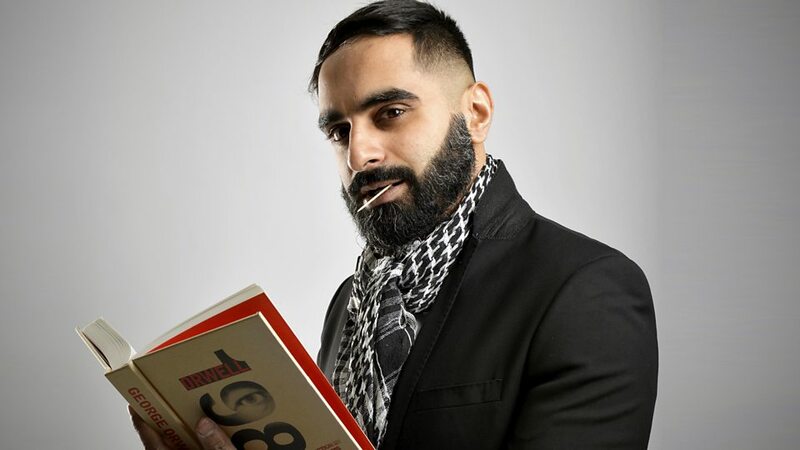 The origin was Tez Ilyas' set about being a British Muslim and what implications that has for day-to-day life, but that's spread in this second series to more of his background, such as class and politics. Where James is manic, Ilyas is measured, and he has a sharper point to make regarding the class system. He's also got a thick slab of self-deprecation running through him, this self-described "hilarious but arrogant narcissist". It allows the jokes to land a little more precisely, and gives him a certain elegance on his feet when dealing with the unexpected. Particularly during the weirdest moment of the show. Ilyas plays up his commonness in the manner people from his area of the world are wont to do. There's no small reverse snobbery in his Blackburn background (and that's coming from a Mancunian) and it leads into a rather fun scenario describing the incomprehensible food served at posh house parties. Especially those weird vegetable grape things. At which point, I think the most middle class heckler in the world pops up with a handy correction. I'm not entirely sure what she thought she was achieving. Anyway, he handles it beautifully, keeping in character. Absolutely corker of a series. Will be listening to the rest of it.